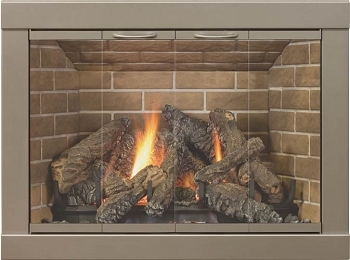 Glass fireplace doors allow you to let your wood fire burn down overnight - just close the doors and leave the damper open and you don't wake up to a cold house the next morning. Vented gas logs should ALWAYS have a glass door in place to help stop heat loss. Vented gas logs require the damper to be clamped open, resulting in tremendous heat loss up the chimney. When you turn off your gas logs, close the glass doors for energy efficiency. Hardware comes with the door; this includes a lintel bracket that attaches the top of the door to your metal lintel plus side angle brackets with a pointed masonry screw that attaches to the rear of the frame and is tightened into the mortar joint. 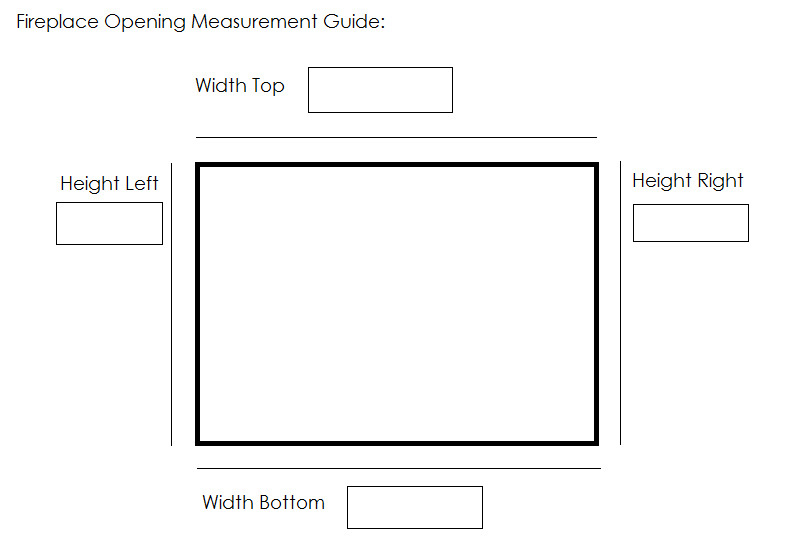 Frame Width 3", Frame Depth is 1"
Measure your fireplace opening. You should measure the height at both the left and the right, and measure the width at both the top and the bottom; the opening may LOOK perfectly square but may not be. Use the largest opening sizes to select the right size door. Go do that now, we'll wait here. WHEN ORDERING ABOVE, find your fireplace size within the dimensions provided. MEASURE CAREFULLY. THESE DOORS ARE CUSTOM MADE JUST FOR YOU AND CANNOT BE RETURNED. CALL US IF YOU NEED ANY HELP WITH ORDERING! The Philadelphia fireplace door will have the same finish on both the main frame and the glass frame (CLICK TO ENLARGE). Clear glass is standard but for $110 extra you can have gray or bronze glass. 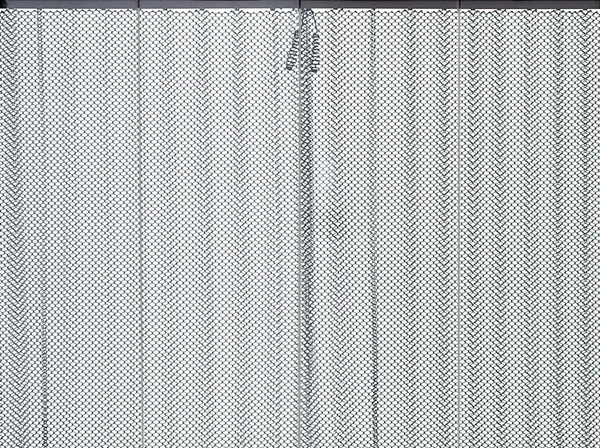 This door comes without mesh, but you can add a hanging mesh curtain screen for $110. 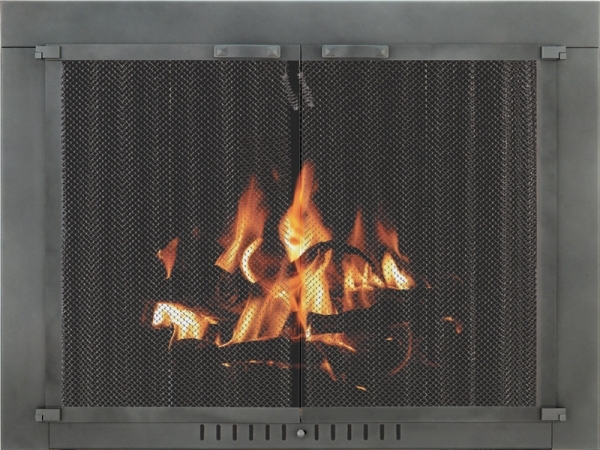 If you're burning wood then be sure to add the mesh curtain for spark protection! GLASS DOORS SHOULD BE OPEN WHEN YOUR FIRE IS BURNING except during low fires when a wood fire is burning out.